Hollywood actress Shay Mitchell, the second cousin of Broadway diva Lea Salonga, fell in love with Palawan. Just recently, the Pretty Little Liars star visited the country with her co-star Penn Badgley to promote their Netflix show You. 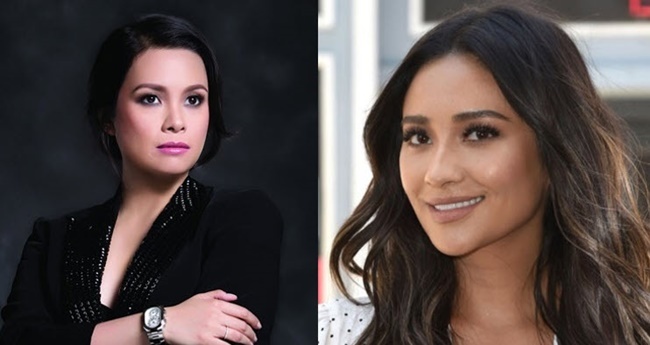 In a previous interview, Shay shared how her co-stars reacted when they found out that she is the second cousin of Lea Salonga. “My second cousin is Lea Salonga, but I don’t share the same talent and voice as she does. So, one of the funny moments was when they (her co-stars) all found out and were like, ‘That’s your cousin? !” the Hollywood actress shared. She also revealed that Lea always has a special mention of her family in her shows. “Whenever we go and watch one of her shows, she always does a special ‘hello’ for all of our family that’s sitting in the front row,” she said. She is not only proud of being the cousin of Lea but also being a part Filipino. After their promotional event in the country, Shay Mitchell stayed for a while in the country. She visited the beautiful tourist spots in Palawan. Shay admitted how she admires the beauty of nature. The actress shared a few photos of Palawan on her Instagram account. “Couldn’t go to the Philippines without visiting the islands…so I did,” she wrote on her IG post. For Shay, “paradise” means El Nido. Obviously, she loves the view. The sunset in the island resort also amazed Shay Mitchell.